I went to Orlické hory for the last weekend. 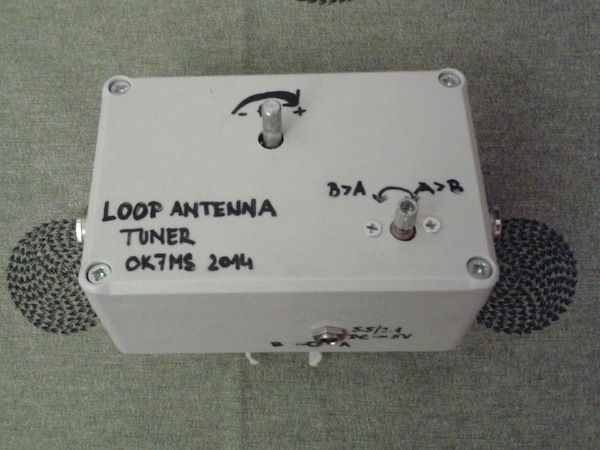 That was a great opportunity to test my small transmitting loop antenna. Count in the chance of making my first SOTA activation ever and you get a perfect motivation. 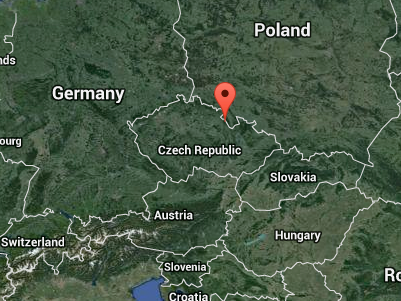 On the other hand, the main purpose of the trip was a (geocaching) weekend with my family. That always means limited air time. The antenna was a small transmitting loop made out of 3 meters of Aircom+ coax cable. The diameter was about 1m and the tuning capacitor (YO3GGX used the same type) was connected to it using a pair of gold plated N connectors (to make it easily transportable). If there is something familiar about this design it is because it is close to the well known Alex loop. The tuning box consists of the variable capacitor and a motor (5Vdc, 16rpm). The two sections of the capacitor are wired in series and form a split arrangement to double the voltage rating and remove the loss of wiper contacts. Unfortunately I do not yet have the necessary handles for the axles and so the motor was not utilized in this experiment. The plan is to use a belt and two pulleys of different diameter to make the turning rate even slower. The antenna element is supposed to be supported by three 40cm long PVC tubes and should hold the almost circular shape well thanks to the Aircoms' solid core conductor. The missing piece is the driven element. That is a small loop (1/5 of the main loop's diameter) I created out of RG-58 coax cable by connecting the end of center conductor to the outer braid half a meter away and making sure the braids do not touch at that point. I left about 10m of the cable going away from the connection point and added BNC connector to the end. That makes my feedline. Now with this done I was almost ready to transmit. I packed everything for the weekend except one small thing... Ferrite core to use as a base for balun. 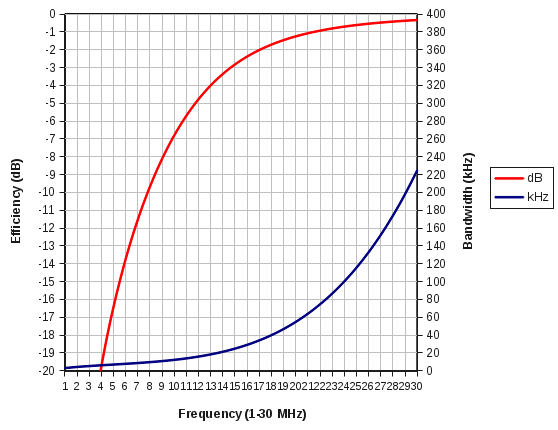 Five loops of my feedline through that core make the common mode impedance about 1500 ohm @ 10Mhz. Just before we started our trip to Velká Deštná (OK/KR-008, 1115m ASL) I forgot to pack the PVC tubes that were supposed to hold the shape of my loop. Oops..
Fortunately, we found a nice straight dead tree branch to use as support and my son provided me with a fastener circle from his toy. After this hack I connected my VNA to the feedline, watched the graphs on my cell phone using BlueVNA app and played with the capacitor. 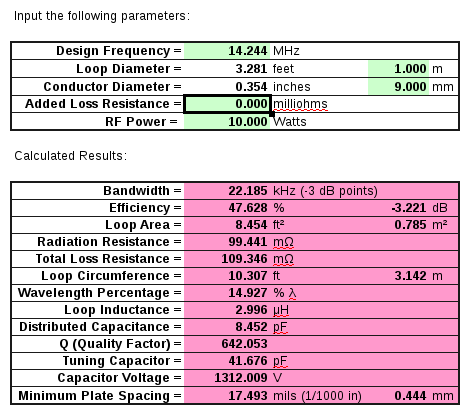 Tuning by turning an axle with fingers is no fun, but I managed to get the center frequency to about 14,250Mhz. I then connected the radio and listened for a while... well I was not happy to hear so much traffic and noise. Apparently there was a contest going on. Not much chance for me to call CQ with only 10W and SSB mode. Luckily I heard a CQ from a british special event station GX3EFX operated by Mike. After several attempts to get my callsign right he gave me a report of 44 due to a lot of noise coming at him from Europe. So my thanks to Britain. Then it started raining so it was time to pack the equipment and resume the trek. I never managed to do the required four contacts for SOTA activation, maybe next time. Overall it was an interesting attempt and I will be trying the antenna again for sure.